Cozhihu gives you a customizable and colorful skins, and which some of them are night mode. 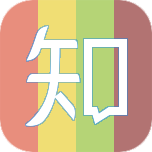 Cozhihu comes with support for 3 languages built-in. we don't tracking any user using website private data, protect your privacy. Fully skinnable, over 25 themes for you to choose. Use sass to write the css, customize color make more faster. Allow users hover the color panel to preview. Support for all chrome-like browser. Cozhihu is licensed under MIT, documentation under CC BY 3.0. Maintained by Terry Cai, Website Inspired by Select2 and Kickstarter.